Large tires and ruff driving can bend the outer knuckle ends, damaging your front solid axle. The Creeper Gusset Kit reinforces the knuckle ball and helps prevent this bending. Upper gussets include holes for mounting shocks. 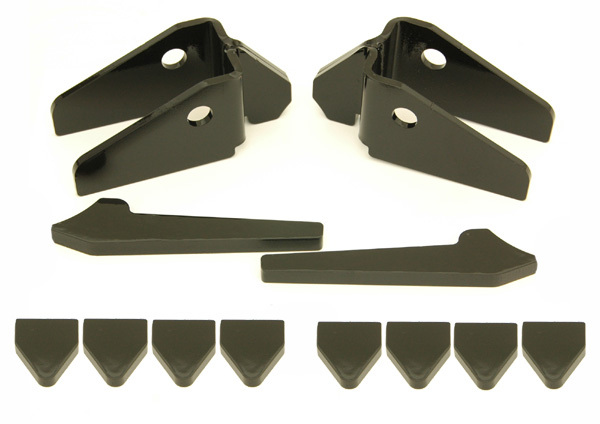 Kit includes two upper shock mounts, two lower gussets, and eight steering stop gussets. Fits 1979-1985 solid Toyota front axle. Welding and grinding required for installation. Unpainted finish.